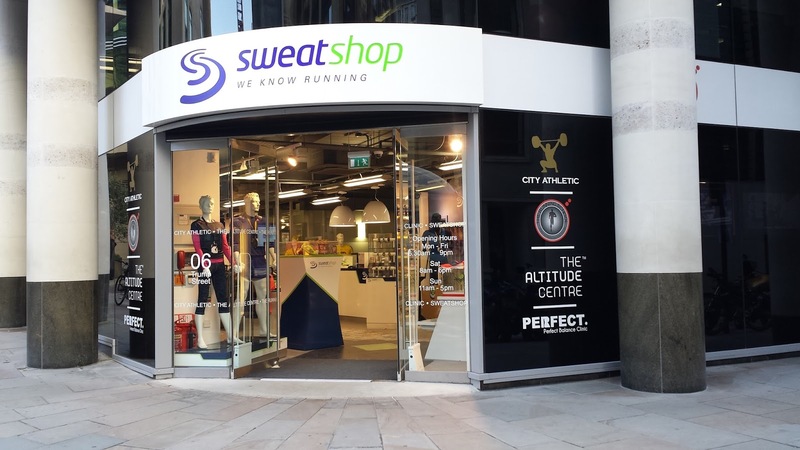 The Trump Street branch of Sweatshop is the flagship store and used to have a whopping fifteen Sweatshop Running Community runs each week. After reviewing the website, it looks like they have scrapped the early morning 7.30am run, so it is now down to ten runs per week, which is still pretty good! The route generally heads from the store and down to the river Thames, at this point it can vary depending on the run leader, distance and how busy the Southbank is. The first evening I ran with them was quite warm and the Southbank was heaving, so we avoided crossing the river and did an out and back route down to Embankment underground station and back to the store - approx 5k. I ended up running with a very friendly bunch, including the run leader, Hazel (I think). Before the run Hazel spoke to the group to find out the general feeling as to which type of run we'd prefer to do. The group chose an easy, social run and I was more than happy with that. She also put as through a really good warm up session before we headed out. There were around twelve runners in total for this session. A few weeks later I joined Carlos (I think, sorry) for a 7.30am run. In total there were five of us and we did the same 5k out and back route down to embankment as I had done on the previous run with them. However this time we did an Indian interval session on the way back. It was the first time I had done anything like this in a group and I loved it. I'm looking forward to the next one!